We LOVE This!! The ONLY floral freeze-drying service in South Africa, PetalMania offers something very special. PetalMania produces the highest quality, bio-degradable wedding confetti, in a wide variety of colours to suit your wedding colour scheme, available in South Africa today. You can buy directly from PetalMania (delivery available throughout Southern Africa) or through your Wedding florist or wedding organiser. Freeze dried petals & flowers add emotion and colour and won’t deteriorate during your perfect day. Freeze dried petals & flowers are completely natural, keeping 99% of the vibrancy, shape, colour & size of the fresh flower. 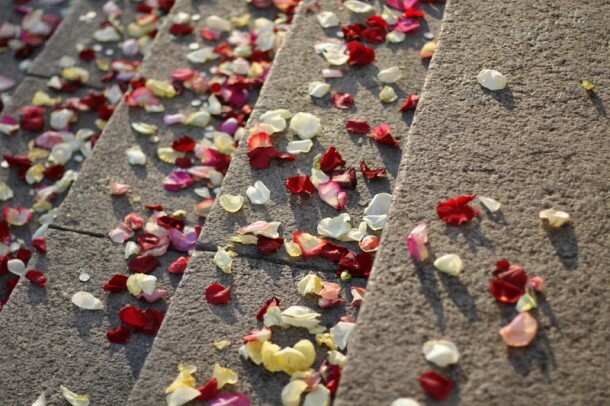 Freeze dried petals add quality & brio – they are far, far better than fresh or air dried petals. Freeze drying your bouquet, or using freeze dried flowers as part of your display is uniquely practical & beautiful. Order a sample of petals to feel & see the difference! Find out how we create the perfect petal & what colours are available today. Contact Paola Verolini to find out what they have available for your wedding on Telephone +27 (0)76 872-7734 or see more info at PetalMania.